Adult Pad Pak (Patients Greater than 8 Years; 55 lbs or 25kg) - SHIPS FREE! 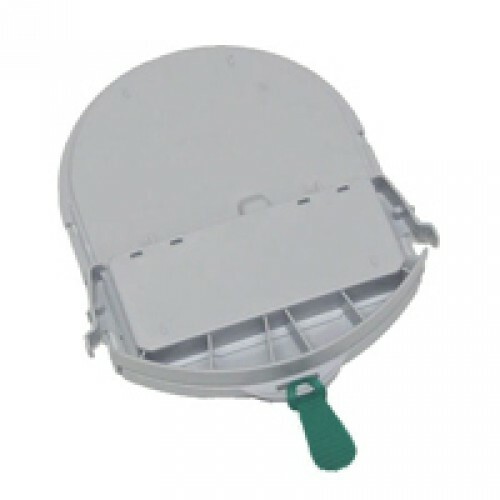 Pediatric Pad Pak for Patients 1 - 8 Years and Less than 55 lbs or 25 kg) - SHIPS FREE! Defibrillator electrodes are uniquely different for children and adults -- and for good reason. That is why HeartSine has the Pad-Pak electrodes and batteries for adults and the Pediatric-Pak electrodes and batteries for children. 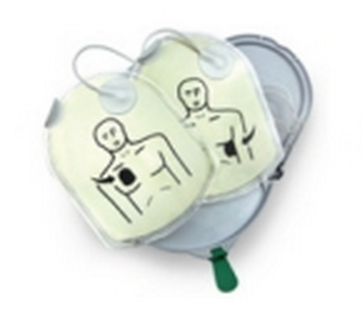 These electrodes work for the Samaritan® PAD line of defibrillators. Both electrode types are incorporating the batteries into one single-use cartridge. They have only one date to check and only one item to replace upon expiration of after use. Both the Pad-Pak and the Pediatric-Pak has a four-year life and provides 60 shocks or six hours of continuous monitoring. Both adult and child electrodes are color-coded to avoid confusion. Pediatric-Pak electrodes are specific in that they deliver the appropriate shock for a small child's heart in cases of Sudden Cardiac Arrest. They have a smaller charge threshold and meant for children 55lbs or less (typically children under 8 years old). Adult - Pad-Pak: These are gray in color and are used for children over 8 years old and adults. 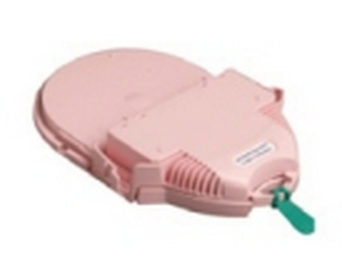 Pediatric-Pak: These electrodes are pink and are to be used on children younger than 8, or weighing less than 55lbs. color-coded for adult and child. The pads have a expiration date for easy reference. The batteries and incorporated into the pad. The electrodes deliver appropriate charge for adult and child. They have a four-year life and provide 60 shocks, or six hours of continuous monitoring. A low battery sound indication alerts the user when it is down to 10 shocks or less.